Improved leg fit through extra elastication, ensuring the product stays in place. 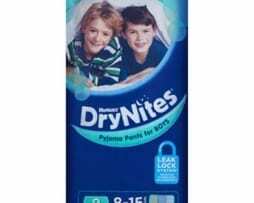 Pack contains 20 pants Capacity 1700ml.DryNites - Boys or Girls 8-15 years x 9 units - Two PACKs DryNites are perfect for those little bed wetting accidents or just wearing around the house to make you feel small. Fits snugly and discreetly under clothing. These products have double leak guards for added security during flooding. 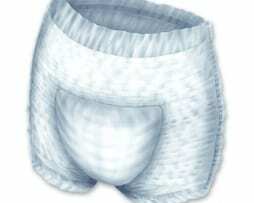 Patterns frequently change on these products and we cannot guarantee which pattern you might receive. You will receive TWO packs of DryNites (18 drynights) Select either Boys or Girls Price includes discreet delivery - lower prices for pickup orders.